The eagerly awaited Honda NSX supercar will take centre stage at this year’s Goodwood Festival of Speed (27-29 June) when it takes on the world’s most famous hillclimb in front of a capacity crowd. The Festival will provide visitors with the first opportunity to see and hear the all-new version of a supercar whose predecessor gained iconic status among car enthusiasts around the world. It’s not the first time Honda’s NSX has tackled the famous Goodwood Festival of Speed hill. In 1993, a fleet of 10 NSX’s were showcased at the very first Festival. Launched in 1990, the original NSX was already making a name for itself among motoring enthusiasts. It not only delivered super car performance and handling but really helped redefine what super car owners and drivers should expect from their cars in terms of ergonomics and everyday usability. It was genuinely a super car you could drive to the shops. More than two decades have passed and the new NSX is making its return to Goodwood. It marks the start of a new era for the NSX. 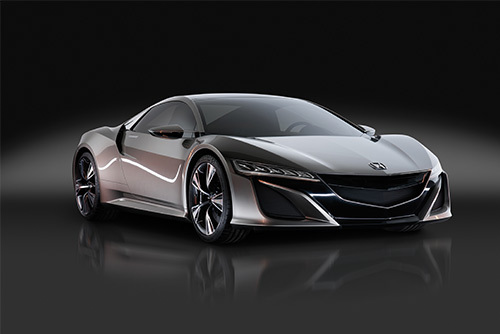 Like the original Honda NSX, the new car is powered by a mid-mounted, direct-injected longitudinally placed V6. Unlike the original, the engine now has twin-turbos and is mated to Honda’s Sport Hybrid SH-AWD® (Super Handling All-Wheel Drive) system. Put simply, Honda have built a super car that is also a hybrid. This all-new system, uses three electric motors. One motor integrated with the V6 engine, drives the rear wheels through a new dual-clutch transmission. While the other two motors drive the front wheels. Thriugh torque vectoring, the system enables instant delivery of negative or positive torque to the front wheels during cornering. 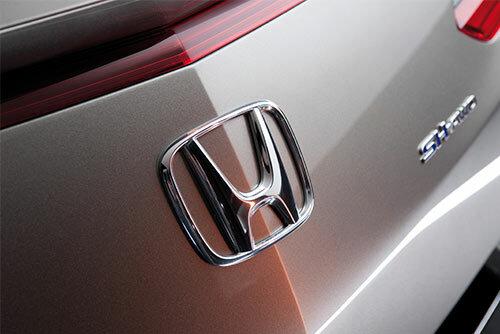 Honda claim this offers a new level of cornering performance, unparalleled by current AWD systems. The new prototype will be joined on the Goodwood hill by a 1989 3.0-litre NSX, once driven by Ayrton Senna himself (Senna helped develop the original NSX), and a 2005 3.2-litre, illustrating the original model’s history and development. For further information on the Goodwood Festival of Speed and to find out how you can buy tickets click here.